Mon, Aug 6, 2018, 07:18 pm SL Time, ColomboPage News Desk, Sri Lanka. 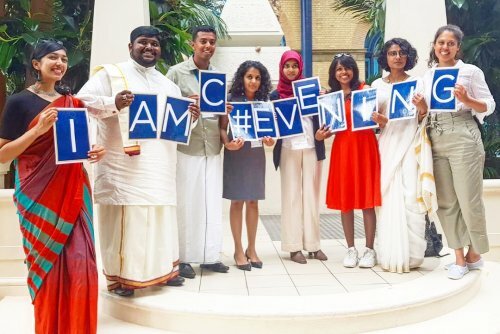 Aug 06, Colombo: The British High Commission in Colombo today announced that the applications for Chevening Scholarships and Fellowship to study in the UK during the 2019/2020 academic year opened today (6 August). Chevening Scholarships are awarded to individuals with demonstrable leadership potential who also have strong academic backgrounds. The scholarship offers full financial support for future leaders to study at a UK university whilst also gaining access to a wide range of exclusive academic, professional, and cultural experiences. Sri Lankan citizens are eligible to apply for the Chevening Scholarship, the Chevening Research Science and Innovation Leadership Fellowship (CRISP) and the Chevening South Asia Journalism Programme Fellowship. Over the last 35 years, 50,000 outstanding professionals have had the opportunity to develop in the UK through Chevening. There are more than 1,500 scholarships on offer globally for the 2019/2020 academic year, demonstrating the UK's ongoing commitment towards developing the leaders of tomorrow. Chevening Scholarships are the UK Government's global scholarship program, funded by the Foreign and Commonwealth Office (FCO) and partner organizations. The scholarships support study at UK universities - for individuals with demonstrable potential to become future leaders, decision-makers, and opinion formers. Chevening began in 1983 and has developed into a prestigious international awards scheme. Chevening Scholars come from over 160 countries and territories worldwide, and more than 1,600 scholarships were awarded in 2018/2019. There are over 50,000 Chevening Alumni around the world who comprise an influential and highly regarded global network.